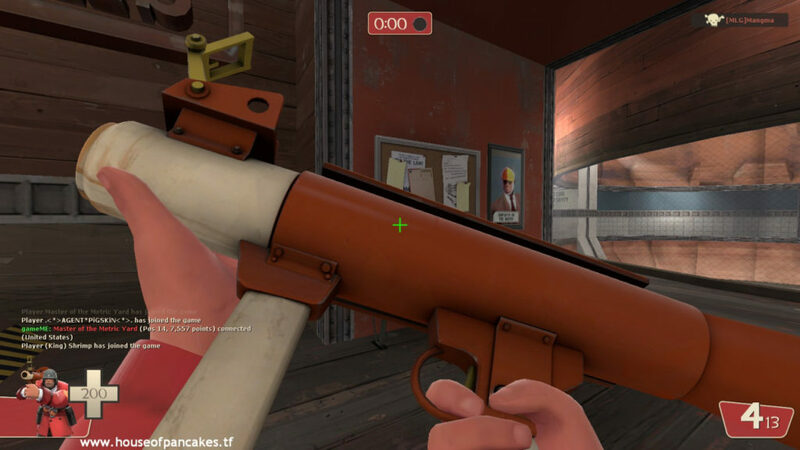 In the spirit of my old series where I cover all sorts of tiny aspects of Team Fortress 2 and the ways you can gain tactical advantages from them, I think the time is ripe to cover one of the more controversial cosmetic elements added to our favorite shooter. Cosmetic weapon skins have slowly spread across the Steam FPS industry like a plague, with Counter-Strike Global Offensive being patient zero, and for the most part their only function is to make an otherwise respectable weapon look garish or possibly badass. But is there a way to use them to your advantage? 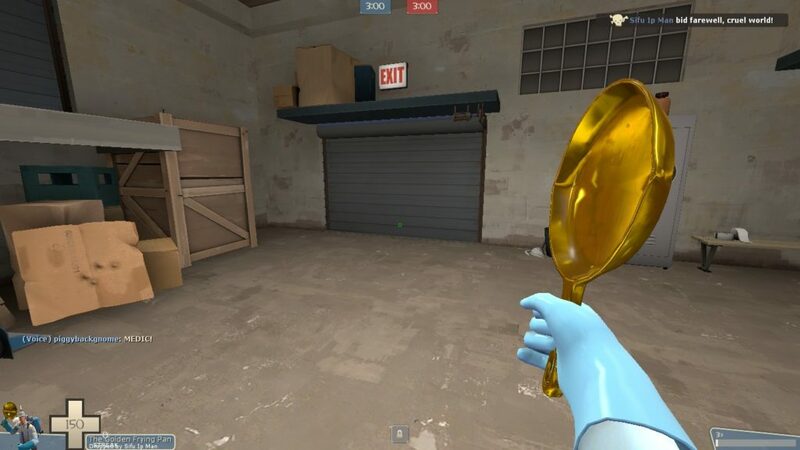 Not counting the Golden Frying Pan’s ability to backstab. Thanks Sifu Ip Man for letting me hold your golden pan for a life! Of course there is. The first and most obvious is camouflage. If playing on a map with a defined theme, coloring your gun so it matches the environment can make it harder for enemies to see you, especially if all you’re showing is your head and your gun barrel. A pretty subtle difference, but certain player models in Counter-Strike Global Offensive blend into the environment, and not having to carry a black or steel-colored gun can only help. But it’s also possible to gain an advantage from guns that are more visible, though usually the benefit would need to be more personal and less focused on gaining an advantage on your opponents. 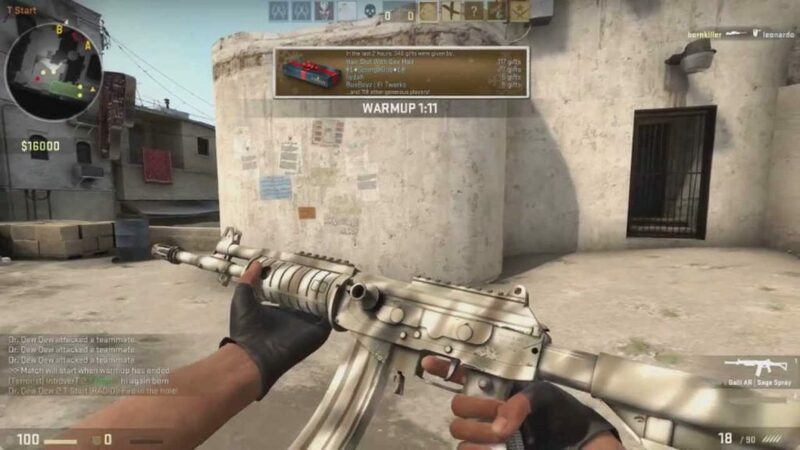 In games that let you drop your weapon on the ground, like Counter-Strike Global Offensive, any strategy that relies on leaving a gun elsewhere and coming back for it later could benefit from a skin that’s easier to see. 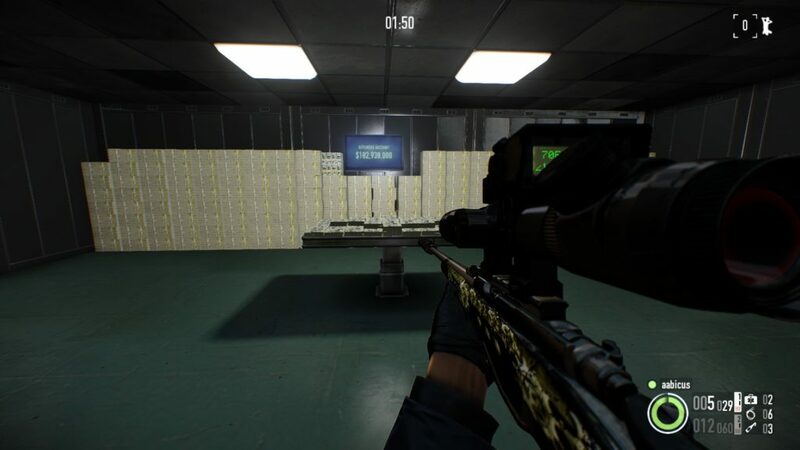 Personally this only happens to me in Killing Floor 2 when soloing, since I like to store extra copies of weapons in corners in preparation for my current gun eventually running out of ammo. 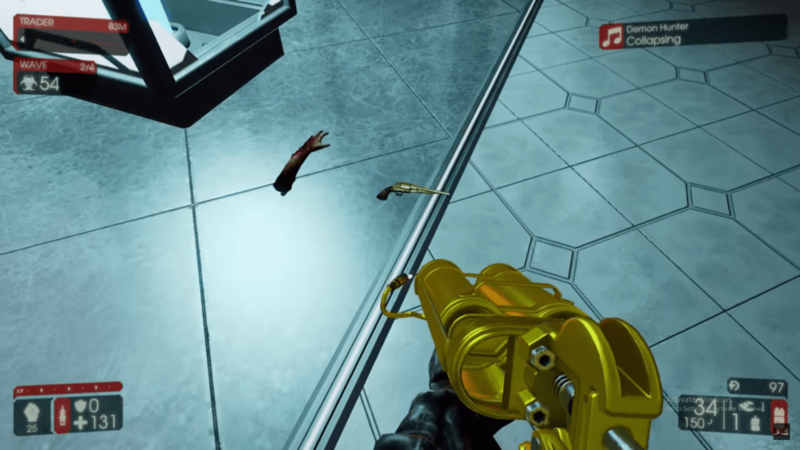 A gold shotgun is easier to see than a dark grey one when you’re searching for your gun in a darkened blood-spattered hallway and the zombie hordes are hot on your tail. All these advantages are extremely minor, admittedly, but what do you expect? These companies were extremely careful to avoid any pay-to-win implications, knowing full well that the gaming community is only barely tolerating the somewhat shady microtransaction process anyway. For the most part, the best use of weapon skins is to pimp your gun out in your favorite style and reap the technically-scientific advantages of looking your best.